The replacement for original APPLE MC377LL/A Remote Control is in-stock and ships within 24 hours. 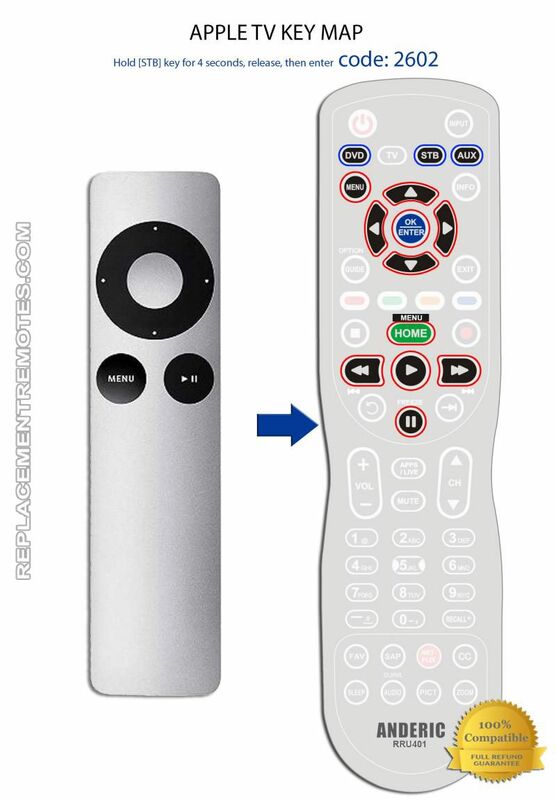 The replacement for original APPLE MC377LL/A Remote Control carries a 60-Days Warranty. NOTE: NOT AVAILABLE, PLEASE USE SUBSTITUTE RRU401 4-DEVICE UNIVERSAL. WILL WORK VIA STANDARD IR ONLY. Exert long-distance control over your iPod, iPhone, or Mac computer with this Apple remote. This handy device is durable enough to handle everyday wear and tear, and it is small enough to keep in your pocket or in a small drawer near your favorite chair. Whether you're delivering a presentation or just relaxing to your favorite tunes, this device makes manual operation practically obsolete. Apple Remote with iPod and iPhone: If you connect your device to the Universal Dock or a compatible home stereo, powered speakers, or TV set with an IR port, the remote lets you experience your songs, slideshows and more from across the room. Apple Remote with Mac: Control audio volume, play, pause, and control music and videos, or even put your Mac to sleep from anywhere in the room. The Apple Remote gives you total command of your Mac's music, photos, videos and DVDs via FrontRow?a menu-based, full-screen interface?to make accessing the digital content on your Mac simple.